Although “The Sounds I like to Hear,” is not the first thing I wrote, it was the first poem of mine published when I was thirteen years old in the Wolmer’s High School for Girls magazine. We, the class, were assigned to write about the sounds we like and I wrote about the sea as almost weekly after church my family went and spent almost the entire day there. I loved then, and still now, the sounds of the waves. Before returning our assignments, the teacher read the three best poems, and mine was the last read, as the best, and she said it should be published. I was never asked if I wanted it published, just given the magazine when it was. Sadly I do not have a copy of that poem now. What I remember from when I was about eight years old is sitting in the tall grass or laying on a tiled tomb writing… I did not keep what I wrote as they were just my way of collecting my thoughts, and I never imagined that I would one day become a writer. It always begins with me, writing to make sense – meaning to better understand what I am seeing and feeling, then very early on it was writing to give people back a part of themselves that I suspected they didn’t see or recognize or value, then it was to preserve aspects of my culture, to praise, to sing, to amplify, to honour the ancestors, to ensure that there is memory and continuity. I think it was the earliest collection of Louise Bennett’s poetry. However, I am fairly certain the first black writer I read was Jean Toomer, Cane because of the title. Having grown up on sugar estates where cane was everywhere, I remember pausing as I was browsing the book shelves at the library in Harlem and saw the title. I did a double take, then pulled it off the shelf. It was not the canes of Jamaica, but was richly sweet, and peopled by such extraordinary women. I devoured it then, and have since nyamed it again many times; it remains my favourite, and is an amazingly crafted mixed-genre collection by one of the best Harlem Renaissance poets. It was Toomer who led me to Claude McKay, Jamaican’s great poet of the famously quoted poem that Winston Churchill used to rally the British soldiers, “If We Must Die,” and author of the great Banana Bottom. I did my MA oral thesis on Claude McKay’s work. How many Caribbean writers from the 1940s and 50s can you name? Edgar, Mittleholtzer, Samuel Selvon, John Hearne, Kamau Brathwaite, Jacques Roumain, Orlando Patterson, Roger Mais, Derek Walcott, Aimé Césaire, George Lamming, Martin Carter, Frank Collymore, Wilson Harris, Austin Clarke, Andrew Salkey, Franz Fanon, Edward Glissant, C.L.R. James, Wayne Brown, Lloyd Brown, Jan Carew, O. R. Dathorne, Cyril Dadydeen, Roy Heath…my memory fails me. Some of the other earlier Caribbean male writers that I have read are: Édouard Glissant. David Dabydeen, VS Naipaul. Earl Lovelace, Caryl Philips, Linton Kwesi Johnson, Antonio Benítez Rojo, Alejo Carpentier, Nicolás Guillén, Jacob Ross, Fred D’Aguiar, Gordon Rohler, Mark McWatt. Paule Marshall, Una Marson, Erna Brodber, Zee Edgell, Beryl Gilroy, Olive Senior, Merle Collins, Jamaica Kincaid, Edwidge Danticat, Maryse Condé, Merle Hodge, Merle Collins, Sylvia Wynter, Jean Rhys, Jan Shineborne, M. Nourbese Philip, Michelle Cliff, Nancy Morejón, Audre Lorde, Simone Schwarz-Bart, Lorna Goodison, Alecia McKenzie. Afua Cooper, Pamela Mordecai, Nalo Hopkinson, Pauline Melville, Grace, Nichols, Myriam Chancy, Gloria Escoffrey, Ramabi Espinet, Claudia Rankine, Rosa Guy, Dionne Brand, Jennifer Rahim, Jane King, Brenda Flanagan, Oonya Kempadoo, Curdella Forbes, Ifeona Fulani, Beryl Gilroy, Jean Goulbourne, Millicent Graham, Barbara Jenkins, Loretta Collins Klobah, Helen Klonaris, Sharon Leach, Rachel Manley, Lelawatte Manoo-Rahming, Sharon Millar, Angela Barry, Jacqueline Bishop, Monica Minott, Ester Phillips, Leone Ross, Doretha Smart, Yvonne Weeks, Donna Weir-Soley, Jean D'Costa; Gloria, Patrica Powell, Jean Riley, Andrea Levy, Escoffery; Honor Ford-Smith, Naomi Jackson, Julia Alvarez, smeralda Santiago, Ana Lydia Vega, Eintou Springer, Marcia Douglas, Shara McCulum, Tanya Shirley, Marion Bethel, Johanne Hillhouse, Velma Pollard, Myriam Chancy, Eunice Tate, Donna Weir, Tiphane Yanique, Ann-Margaret Lim. The list is exhaustive, and I know there are many omissions that my brain is not remembering. 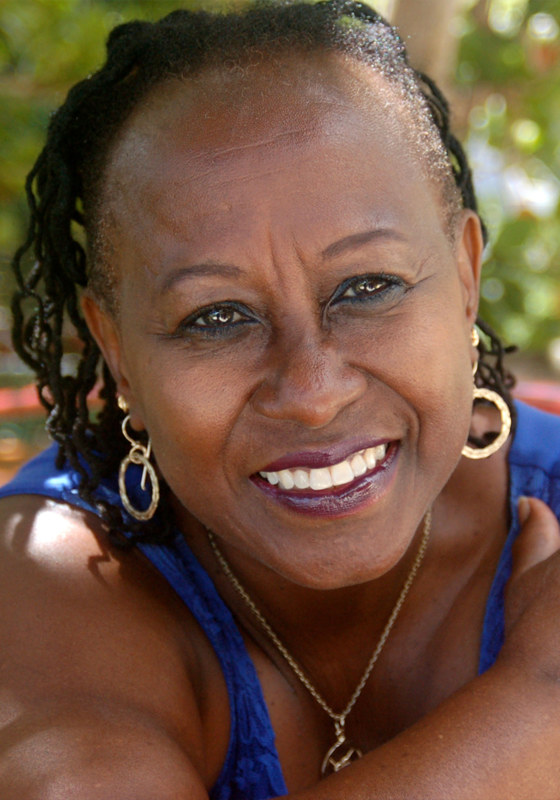 There are so many emerging and emerged writers that I published when I edited The Caribbean Writer, and that I publish now in my journal, Interviewing the Caribbean. I want to know more about almost all the writers whose works I have read; what was their childhood like, what prompted or solicited their work, where they were when they wrote said piece, the whole act of creation and how this intersects with their life and family… But after I read Ceaire’s Return to My Native Land, Nicolás Guillén’s The Zoo Keeper, and Simone Schwarz-Bart’s The Bridge of Beyond I wanted to talk with them, to know who they were, what they ate, enjoyed doing when they were not writing, and from whence came their power and vision. I can’t explain it but these three works took me places I have never been before, made me want to find my Obeah to reach deep and come up with gems, miracles, words to cure to assault of slavery, colonialism, and the post independence trauma, and all the things that have yet to be made right for us people in the Diaspora in general, but specifically, Caribbean people. When I was writing my dissertation in the 80s, this was my initial quest to unearth the first and earliest novel/poem/play, anything by a Caribbean Woman. As a teenager I had read Herbert G. De Lisser, 1929, novel The White Witch of Rose Hall, but I yearned for the stories of black enslaved women and free working class Caribbean women. I read the Wonderful Adventures of Mrs. Mary Seacole in Many Lands,1857; The History of Mary Prince: A West Indian Slave, 1831, and I wanted to find the Caribbean equivalent to Phillis Wheatley. I had read poems by Una Marson, and of course everything by Louise Bennett. Read Sylvia Wynter’s novel, The Hills of Hebron, 1962, then stumbled on Phyllis Shand Allfrey, The Orchid House, 1953; Ada Quayle’s first novel, The Mistress, 1957; Eliot Bliss’ Luminous Isle, 1934; and finally Alice Durie’s One Jamaican Gal, 1939. Although, Durie is an outsider, a white American who married a Creole Jamaican, her text offers important insights. Sadly, when I was doing field research in Jamaica and sought out and met her son, he confessed to burning her papers and other unpublished novels, because he didn’t know what to do with them, he claimed. This was a man with a successful business and warehouse. I was so angry I gritted my teeth to keep from slapping him. If this was the fate of an upper class white woman, then what chance during those earlier times for the poems and novels of a poor black woman, especially in the Caribbean. All writers are important, often and especially those who don’t make the headlines; those who are writing between the cracks, who are writing to maintain sanity, to show all of us, flawed or not, the multi-dimensional aspects of our societies. The works of students, mostly Caribbean children, and those emerging writers whose work will dance and fly off the page in the near future.